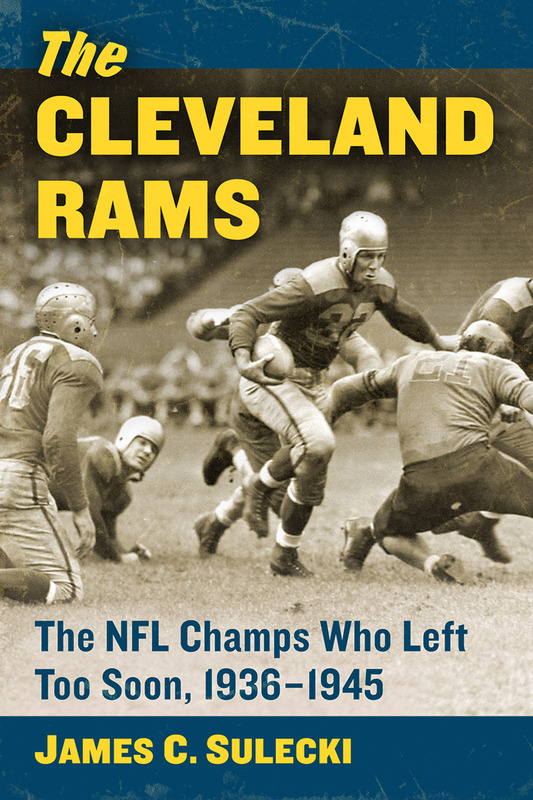 Author James C. Sulecki has won the 2016 Nelson Ross Award from the Professional Football Researchers Association (PFRA) for his book The Cleveland Rams: The NFL Champs Who Left Too Soon, 1936–1945. The Nelson Ross Award has been presented annually since 1988 for “outstanding achievement in pro football research and historiography.” Previous winners include Dan Daly for National Forgotten League (2012), Michael MacCambridge for America’s Game: The Epic Story of How Pro Football Captured a Nation (2004), and Tod Maher and Bob Gill for The Pro Football Encyclopedia (1997). The Cleveland Rams was published in late 2016 by McFarland.